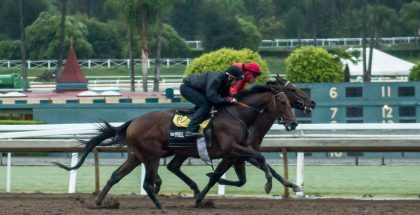 Breeders’ Cup 2014 Picks, Plays, Post Times & More: The 31st running of the Breeders’ Cup World Championship begins today, Friday, October 31st, in Arcadia, California at Santa Anita Park. The two-day event features the best thoroughbred racehorses from around the world in thirteen races worth millions of dollars. The Breeders’ Cup can easily be viewed via live stream on BreedersCup.com at 2:00 PM ET on Friday and 12:45 PM ET on Saturday. Horse Races NOW is also a great option to watch the Breeders’ Cup directly from your mobile phone. Television coverage of the 2014 Breeders’ Cup begins at 5:00 PM ET on Friday and 3:30 PM ET on Saturday on NBCSN. 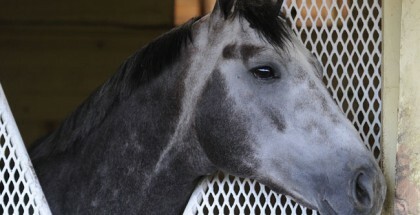 NBC will broadcast the Breeders’ Cup Classic from 8:00-9:00 PM ET. 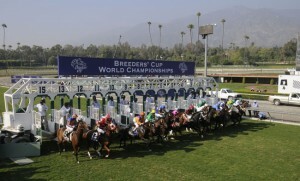 The 31st running of the Breeders’ Cup World Championship takes place at Santa Anita Park on Friday, October 31 and Saturday, November 1.